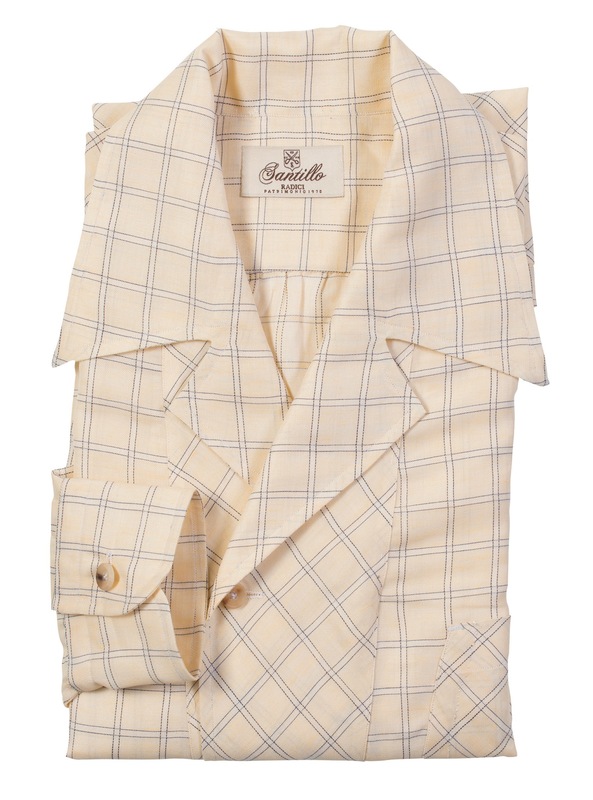 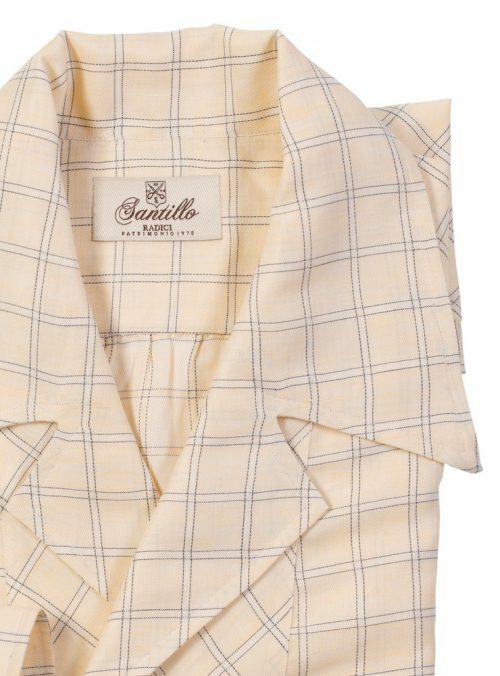 In the true respect of Santillo’s tradition values RADICI PATRIMONIO 1970 is the largest research trough the development of the exclusive fabrics realized in special blends and new color, looking for a new concept of gentleman. Using processes that are disappearing the result of all this work is an exclusive product matching style with superb professional skills. 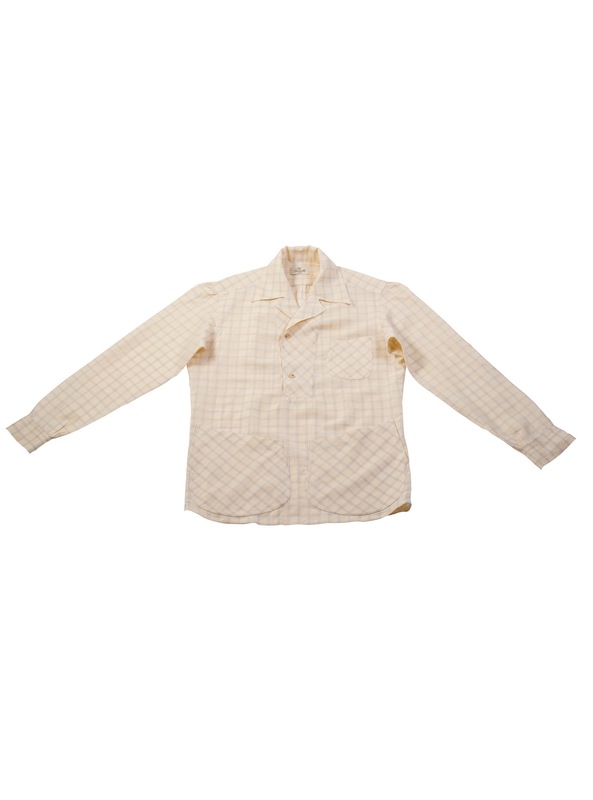 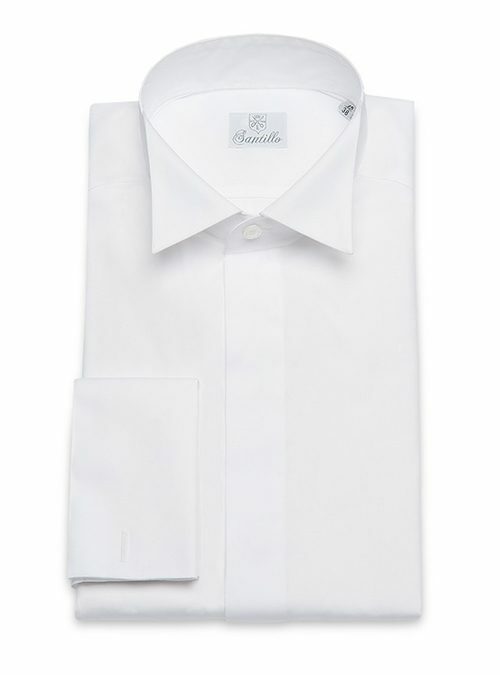 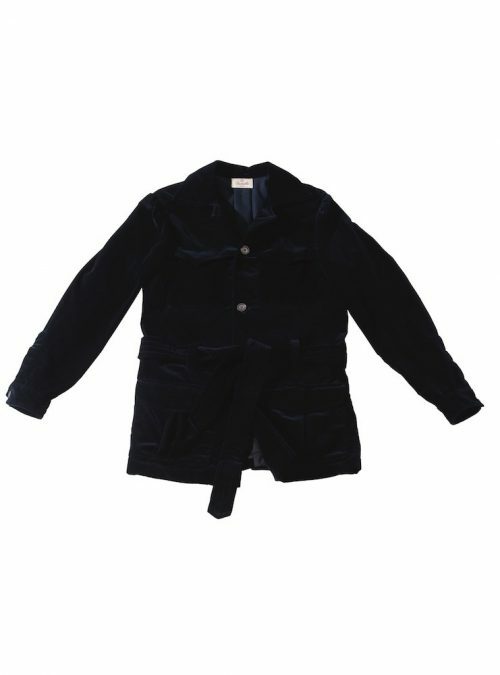 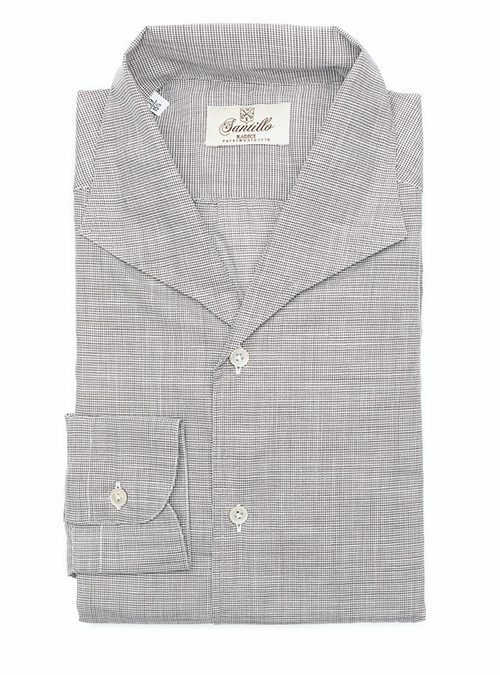 This garment is completely Handmade in Italy using a very lightweight fabric, a prestigious yarn created by blending precious linen and cotton. Its light color and soft texture makes are inspired from 60’s and 70’s elegance and make her perfect for the summer months. 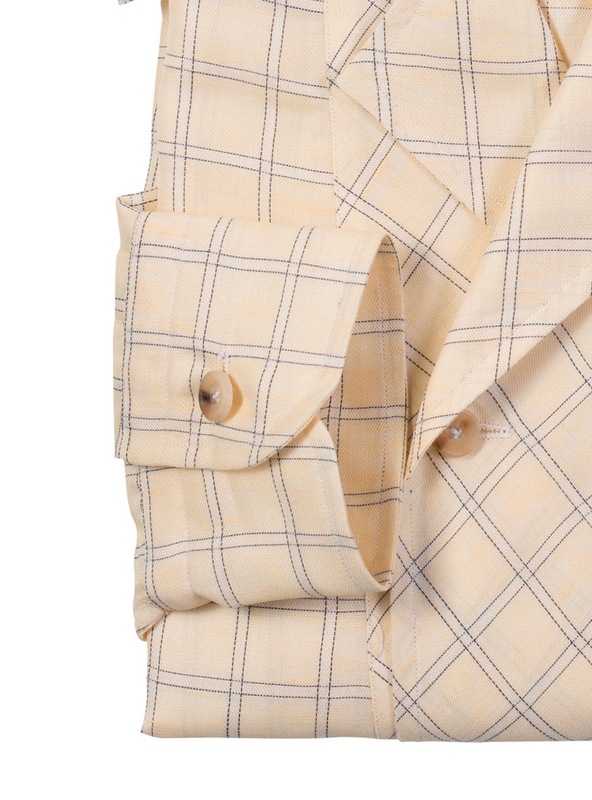 Collar totally empty is melted into one piece with the front of the shirt that is buttoned with two buttons on the side of the chest, one chest patch pocket and two large patch multi-section on waist. 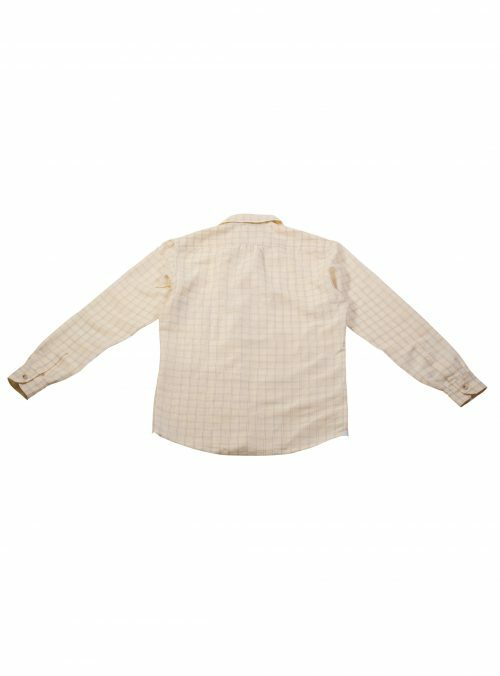 Little hand embroidered hem are applied on the most important point of the shirt.